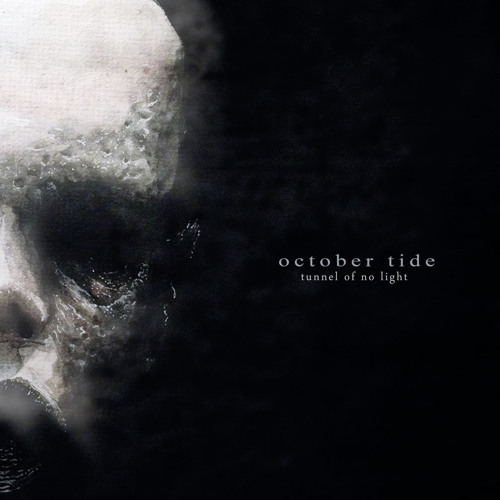 Sculpting yet another forlorn masterpiece in the shape and form of their latest album "Tunnel Of No Light", the Swede pessimists OCTOBER TIDE returns to sink all dampened souls to an even further point of no return! "Tunnel Of No Light" shows the band progressing rapidly and their unfaltering musical style have now set themselves apart from all the peers. Audacious without being overly-experimental while maintaining the sensibility to remain dark, concise and contemporary. Recorded, mixed and mastered at Black Lounge Studios, Sweden with accomplished producer / engineer Jonas Kjellgren (Scar Symmetry, Sonic Syndicate, Centinex, In Mourning, etc) and based on the loosely themed avant-garde artwork by Johannes Nordqvist Högbom and an additional layout collaboration with Kontamination Design, Poland. A final word of warning: SweDepression is not something to be taken lightly and OCTOBER TIDE are without doubt the purveyors of the unlight. @user4442161: Doesn't sound core at all. Let down :( Vocals are terrible, too core and the overall sound is really thin. More doom awesomeness! Can't get enough of you guys! Waiting for the new record! Cheers from Uruguay! Very happy to listen to new work without even knowing it!